Balancing engineering, management and politics. Nuclear Safety is all about the handling of radioactive materials. The word 'RADIOACTIVE!' , always an exclamation, is synonymous with lethal danger. Scientists or other sensible people who say different must be ignored at your peril. Governments are responsible, so they say, for keeping their citizens safe so this extreme level of fear is useful political tool. Little of what is said about radiation by non-professionals is true. The fears alone can have serious consequences for populations. Essential international reports are held in our Safety Library. As shown in the Fusion Primer, most radiation is stopped by a sheet of paper or a centimetre of solid material. Those materials can be safely stored and will not harm workers. Other isotopes can emit gamma rays which penetrate metres of concrete or spit out antimatter in the form of positive electrons, positrons, which self destruct on their first meeting with an electron, emitting very powerful gamma rays. These must be kept behind heavy shielding. Safety for these materials depends upon engineered and managed systems and robots for the places with high gamma activity. Breathing or eating radioactive materials can be dangerous or, if properly administered, can be medically beneficial. Everything depends upon the dose. Bananas are high in Potassium which includes the isotope Potassium-40. It is a weak beta emitter, and the dose is so low that it is an insignificant health hazard. We all carry P-40 and are all slightly radioactive. This page background is an advert for Uranium Snowflake ice cream. One of many crazy uses peddled by hucksters. The man who sold health giving Radium drinks died from his own product. Health authorities generally have a good understanding of radiation safety, except for the Japanese. The government has been setting very low radiation limits which subscribe to the notion that radiation is dangerous at any dose. The idea that radiation is unsafe at any dose is wrong. The ill-informed like to multiply the tiny dose by the enormous number of banana eaters, about 200 million people, to claim that 20 people a year will get cancer from bananas. Life has evolved on a planet with a small but measurable level of nuclear radiation and a host of other hazards like viruses bacteria and chemicals, so Life is self repairing. So, nuclear power produces very large quantities of radioactive materials which must be kept entirely within the nuclear plants and transported, when necessary in very safe containers. Radioactive materials destroy themselves - by radiating particles and transforming into neighbouring elements. 90% of radioactive elements in spent reactor fuels are gone in 50 years. A few isotopes take 3-500 years to vanish, but the quantities are small and are easily stored in vaults. The heaviest radioactive isotopes take thousands of years to decay and must therefore be returned to reactors to be consumed as fuel. The very worst option for Spent Fuel is to bury it in Geological Disposal Facilities. The iPhone app, Isotope Data, shows the type and decay rate of most isotopes - with some errors and emissions. Reactor Safety becomes the principle thing to guarantee. Current reactors redesigned to contain any materials released by a damaged reactor. The latest offer passive safety and close down without operator intervention. The new generation of reactors has undergone a long design gestation after Chernobyl and produced system which will have multiple support systems to prevent meltdown and minimise the consequences if it happens. The new EdF and Westinghouse designs have outer containment which is stung enough to survive an external strike by an airliner or any amount of internal incompetence by the management. Passive burners to remove any Hydrogen released in a meltdown eliminate the possibility of the chemical explosions which breached the flimsy Fukushima containment. The result is that any loss of coolant accident inside the reactor cannot affect the people or environment of the region. The only loss would be the reactor itself and the investment made. These design principles and standards are applied to US, Russian, South Korean, Chinese, Japanese and Indian reactors. Reactors, like any large industrial plant, must be designed to be inherently safe , easy to maintain, supplied with reliable and accurate instruments for control, all of which must allow for human frailty at every step. The plant must also be built precisely to the specification with the materials selected. Well, that is the theory. Reality intrudes at every level and bad things have happened. Silly things also happened, like Health Giving Radium Drinks (Fatal), or Uranium Ice Cream (heavy metal poisons. ), but health scams proliferate in every society. Homeopathy, rhino horn, nutmeg, magnetic bracelets, and the calming effect of smoking spring to mind. We must not minimise the dangers, but the actual injury and loss of life, even in the worst cases has been very small. The libraries hold the relevant analyses. Especially important is the analysis of the impact of low levels of radiation up to 100 times the average background. Low levels of radiation are repeatedly found to be beneficial to overall health. The papers are in the Safety library. The British AGR used interlocking graphite blocks around the fuel channels, making it almost impossible to repair any internal failure. They have actually served well but no more will be built. The instrumentation at Three MIle Island gave so many error messages that they were ignored by the operators. The Nuclear Regulatory Commission accepted incorrect reports from the management, maintenance was shoddy, and everyone contributed to the Three Mile Island meltdown. Panicked messages from the TV channels and an order to evacuate the area around the reactor caused the only injuries. No significant radiation escaped from the site. There are similarities with the global economic meltdown of 2008. These comprehensive failures to do the job were replicated in Japan. The GE-Babcock designers of the Fukushima reactors believed their reactor was so safe that an outer containment building was unnecessary. Without a tsunami the assumption may have held as the reactors were to be decommissioned anyway, but TEPCO had economised on safety upgrades which were applied elsewhere. Lessons get identified but not read or learned, except by the Nuclear Vendors who have made progress in a stagnant market. The biggest safety hazard is from politicians and their agents who made major contributions to all three nuclear disasters. Absurd safety demands, weak regulation, and the rigging or manipulation of nuclear markets make for a playing field level like a golf course. There is more about this in Nuclear Politics. The latest reactor designs are discussed in REACTORS. Future Reactors for 10,000 Years. More advanced designs have had a central goal of making a meltdown or irreparable damage event impossible. These will be the safest reactors in the world. The number one step is to avoid the use of water as a reactor coolant. In the meantime, water cooled reactors have reached a high level of passive and active safety making them usable and safe for the next 60 years or so. Reactor safety is only a part of the whole nuclear story. The mining, fuel fabrication, materials transport, and continual reprocessing of spent fuel all have their own important safety issues. On the time scale of centuries, all the valuable reactor and processing plant materials must also be recycled. Neutrons activate materials like steel and concrete, but the radioactive isotopes created have short lifetimes and the whole decays away in about 50 years. Dismantled plants will end up in Repositories for future recovery, not concreted graves. 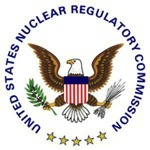 An extended summary of our position is published with the Nuclear Energy Insider. Robots will have a big part to play for a safe and timely operation of these facilities over the centuries. It should never be necessary for operators to send people on short trips into radioactive areas on this or any other planet. There is much to do, much to develop, and new applications to be devised, on this planet, this solar system, and this galaxy, for the copious energy provided by nuclear fuels. Nuclear energy will be a large global employer. We spend a lot of disc space on taking you through these future scenarios. The Lecture sections will give you the quickest snapshot views. Plutonium as given to the Queen.